As a Virtuoso Preferred Partner, we are thrilled to be participating in the 27th annual Virtuoso Travel Week, held August 8-13 in Las Vegas. With more than 4,800 attendees – nearly 2,300 Travel Agency participants and over 2,000 Preferred Partners, it promises to be the largest attendance in the history of the event! Virtuoso Travel Week brings together worldwide travel agencies, advisors, preferred supplier partners, and special guests in what is considered by many to be the luxury travel event of the year. It is a great venue for making industry connections, learning the latest in travel innovations, and collaborating with others. This year’s keynote speaker is Daniel Pink, author of the New York Times best sellers, A Whole New Mind and Drive. His presentation will be based on his latest book, To Sell Is Human: The Surprising Truth About Moving Others. Wireless Traveler is taking appointments for individual and group meetings during Virtuoso Travel Week. Brenda and Ian will be on Track A. A few 10 minute appointments are still available for the afterhours sessions, as well as an early breakfast or lunch in the Bellagio. For all Virtuoso travel advisors, we invite you to meet with us and check out the WirelessTraveler App, our low cost WiFi calling app, and our popular high speed Pocket WiFi Hotspot. Paired together, you can have low cost data and calling as low as 2 cents per minute everywhere you travel. 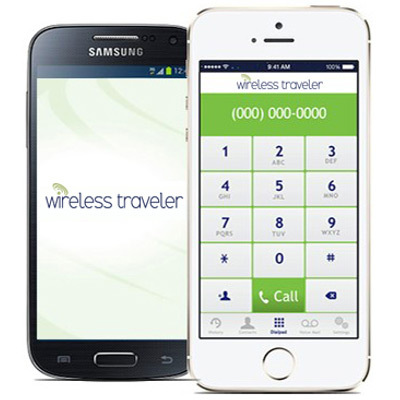 With the Wireless Traveler App, global travelers can use their own smart phones to stay in touch in over 200 countries. Calls are FREE app to app. And with the Pocket WiFi Hotspot, travelers can tether up to five devices to share the low cost data abroad. Virtuoso is the leading network of luxury travel advisors and networks. The by-invitation-only organization includes more than 355 agencies with 9,000 elite travel advisors in 26 countries throughout North America, Latin America and the Caribbean, Europe, and Asia-Pacific. Virtuoso also includes over 1,700 of the world’s premier travel providers and destinations. This year’s event will be held at the Bellagio and the Vdar Hotel & Spa in Las Vegas, Nevada from August 8-13. Join the conversation at #VirtuosoWeek to stay updated on all the latest Travel Week happenings.